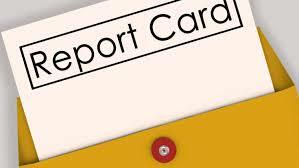 YOU CAN FIND MORE INFORMATION ABOUT THE NEW ILLINOIS STATE REPORT CARD BY LOOKING THROUGH THE DOCUMENTS BELOW. ALL FIVE OF OUR SCHOOLS WERE RATED COMMENDABLE FOR THE 2018-2019 SCHOOL YEAR. CLICK HERE FOR A LINK TO THE RESULTS OF THE REQUIRED ILLINOIS ASSESSMENT SURVEY. MORE DIRECTIONS WILL BE ON THE WEBPAGE.